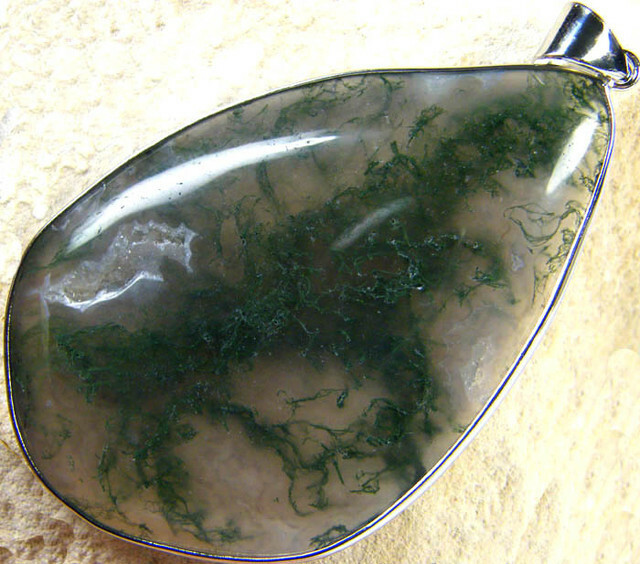 This is a natual untreated agate pendant with amazing moss like patterns in the stone.The chalcendony areas are transulant so you can see the lovley green moss like inclusions.It is well polished and silver stamped 925 but i feel the silver content could be lower as its made in China.It is now ready to wear. 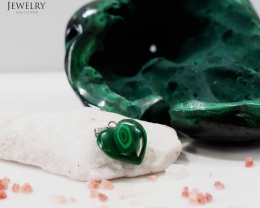 No gemstone is more creatively striped by Nature than agate, chalcedony quartz that forms in concentric layers in a wide variety of colours and textures. 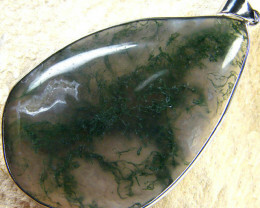 Each individual agate forms by filling a cavity in host rock. 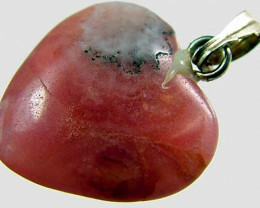 As a result, agate is often found as a round nodule, with concentric bands like the rings of a tree trunk. 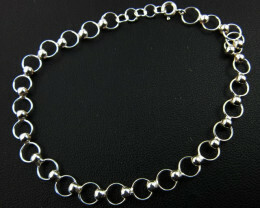 The bands sometimes look like eyes, fanciful scallops, or even a landscape with trees. 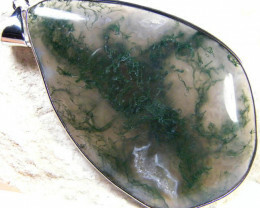 Moss agate (also called mocha stone) is a semi-precious gemstone formed from silicon dioxide. 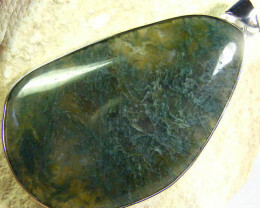 This mineral is commonly found in limestone and granite. It is a form of agate which includesminerals of a green colour embedded in the chalcedony, forming filaments and other patterns suggestive of moss. 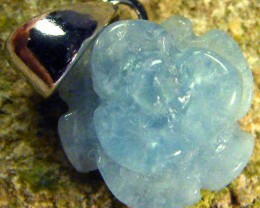 It also sometimes resembles blue-cheese. 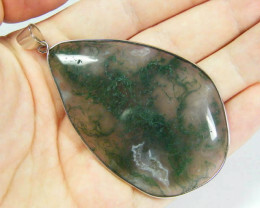 The field is a clear or milky-whitequartz, and the included minerals are mainly oxides of manganese or iron Moss agate is of the white variety with green inclusions that resemble moss. 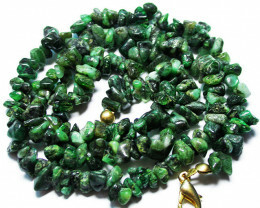 It occurs in many locations. 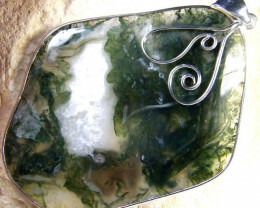 The colors are formed due to trace amounts of metal present as an impurity, such as chrome or iron. 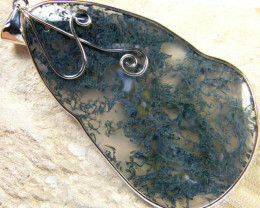 The metals can make different colors depending on their valence. 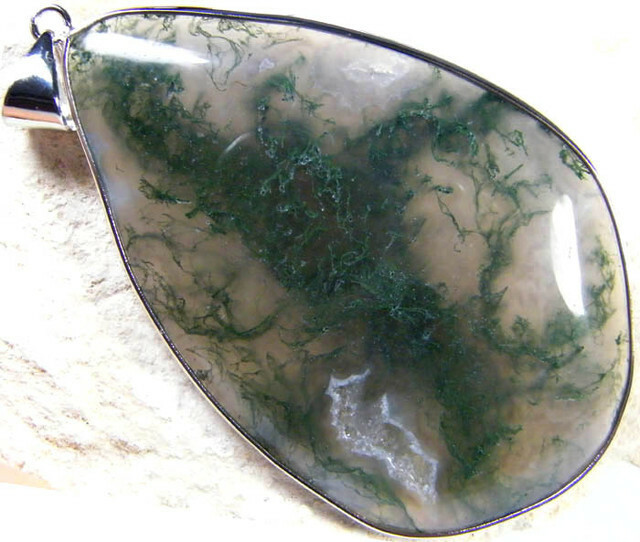 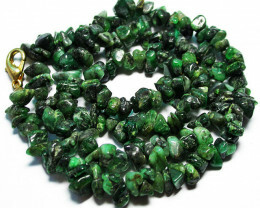 Despite its name, moss agate does not contain organic matter and is usually formed fromweathered volcanic rocks.